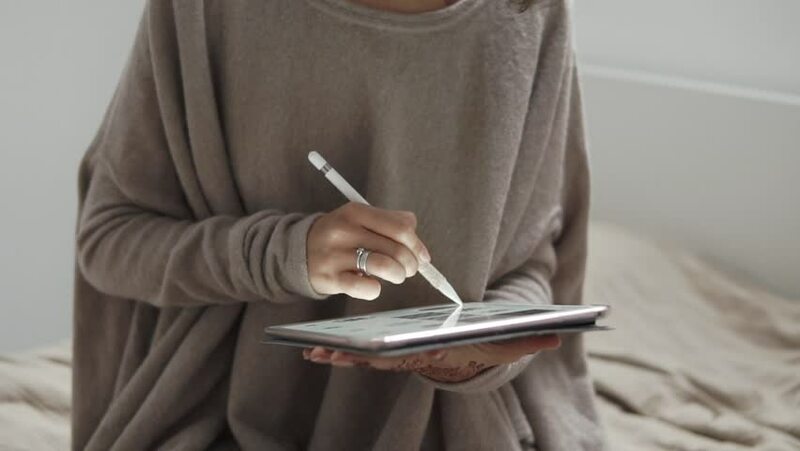 Casualy dressed woman is holding a tablet and using stylus by the bed. She is surfing the web. Searching on the internet. 4k00:09Notary signing papers near window. Read everything carefully. Time to make conclusions. 4k00:10Young professional is making notes in the notebook in front of computer. A concept of business education process. Locked down real time shot.